We build compelling brands that matter. 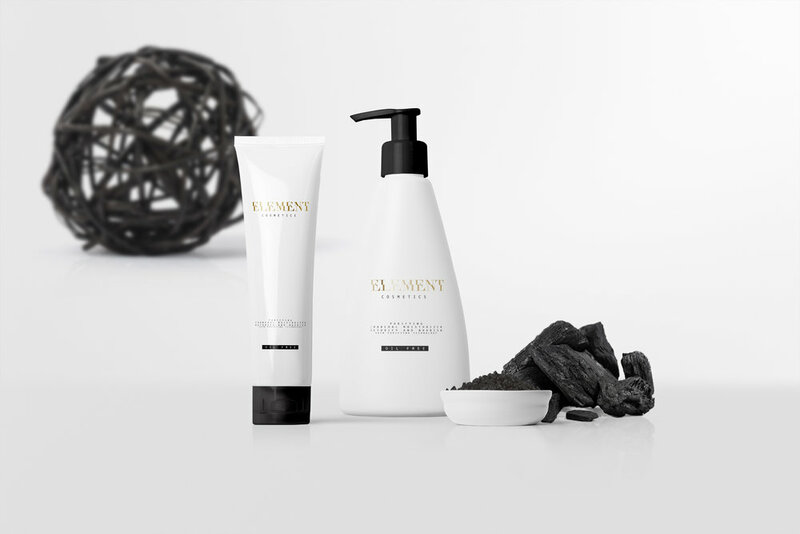 Element is an organic activated charcoal based skincare line that works wonders for a radiant complexion. It's minimal, and articulate design speak to the brand's philosophy that skin care should be simple and pure. This unique cleansing system works to thoroughly detox, purify, and gently exfoliate even the most sensitive skin. The cold pressed ingredients neutralize acidity and absorb impurities to leave skin cleansed and refreshed. With these factors in mind, we decided to strip the messaging down to just the essentials. Our execution needed to be simple yet sophisticated. It had to be bold yet pure. So we combined these aspects to procure a presence that defined elegance and purity in a dynamic yet minimalistic fashion. Bokeh Wine is an artisanal wine that captures and eloquently defines the lighthearted faded tingle experienced when enjoying a glass of fine red across the table from a significant other. The bold use of colorful circular gradients celebrates the journey traveled through lively conversation while blurring out any distracting peripheral elements. The metallic foil pressed term "Bokeh" comes from the Japanese word boke (暈け or ボケ), which means "blur" or "haze", or boke-aji (ボケ味) and elegantly finalizes the minimalist design. 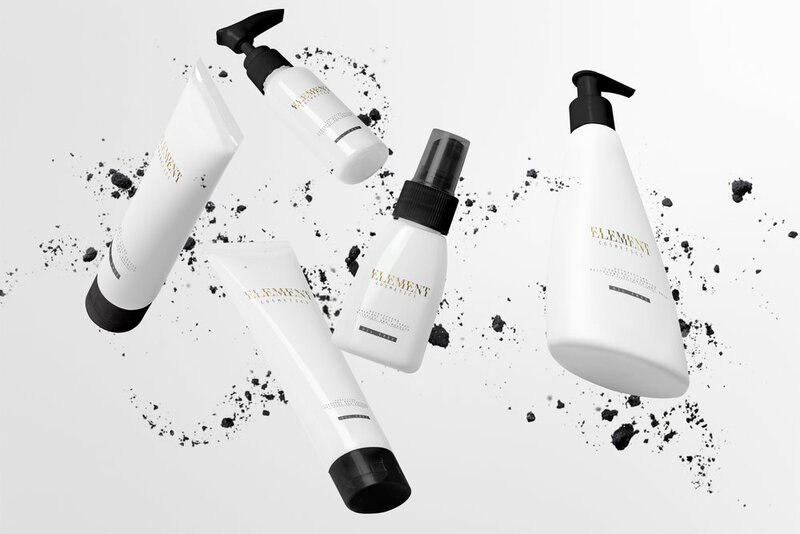 When the Rejuvn8 Micro Medi Spa owners approached us about producing contemporary packaging for their cutting edge beauty rejuvenating procedure, we couldn't help but be more than enthused to give the brand a face lift. 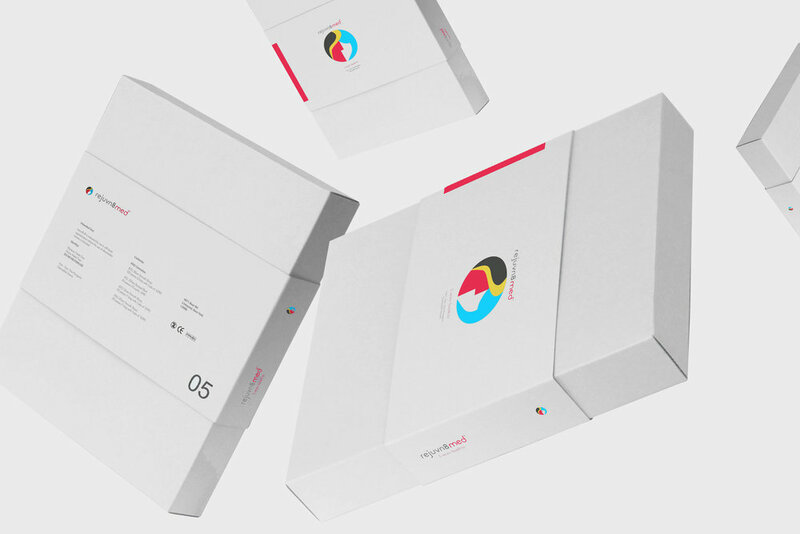 Given the fact that the ask was to curate packaging that would narrate the story of their minimally invasive procedure, we hit the ground running with the intention to procure an aesthetic that intertwined modern finesse with a poetic youthfulness. Water scarcity is the lack of sufficient available water resources to meet the demands of water usage within a region. More than 1.2 billion people internationally lack access to clean drinking water. With this convicting factor in mind, I decided to create a designer water brand that would depict the true luxury of a regionally scarce resource. A start-up with style . Thrival Design Collective was commissioned to ideate and compose a packaging solution for a dog leash start-up based in Chicago, IL. Excited by the endeavor, my team and I hit the ground running and conducted a stimulating brainstorm prior to surveying existing leash packaging applications in the market. With a room filled with the sound of squeaky sharpie markers and the fragrance of pencil shavings, I developed a die-line that would properly house this futuristic leash once folded up. The primary inspiration for the packaging was based on my previous experience in the toy industry accompanied with the intention of allowing customers to experience the tactile characteristics of the Paw-Trol leash. It all starts with a good no.2 pencil, a blank sheet of paper, & a suitable die-line (packaging "blueprint"). After a slew of sketches and hours researching pet stores for similar product offerings, I felt as though this die-line illustration would best dress the PAW-TROL dog leash. Packaging serves as the protection as well as the outfit for a particular product. At Thrival, we feel as though each product deserves to be suited in the most well-tailored pack while still maintaining a level of environmental consciousness. For this package, my objective was to use the least amount of additional materials such as ties, inserts, etc. in order to keep costs down for our client as well as to speak to our sustainability efforts. By strategically placing the die-cut holes, I was able to actually use the leash to stabilize itself within the package without the use of additional materials and minimized the overall dimensions to provide a more snug fit. A Thrival Kit is a package of thoroughly honed design services and strategies that will catapult your business to new heights. 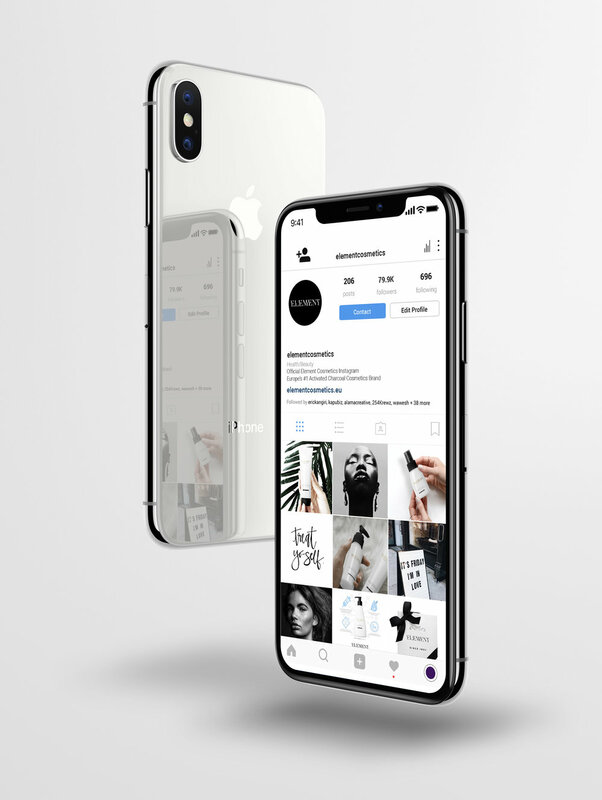 We believe that basic survival is mediocre and in order to thrive in this digital age, it is crucial that your brand genuinely relates to your audience through world class presentation. We specialize in crafting tailored visual experiences that celebrate the beauty of your products and services. Its time to expand your vision and position your brand to thrive, a Thrival Kit will take you there. This is our most popular Thrival Kit package as it provides our clients with the fundamental elements to get their brand up and off the ground with a clear voice and beautiful visuals. This kit's services include but are not limited to, logo design, brand identity, graphic design, and messaging. Essentially a brand in a box, the Silver Level Thrival Kit will take you from great idea to a dignified and tangible brand. The Gold level Thrival Kit is intended for the business that is already up an running but realizes the need to connect deeper in order to elevate. This is a client that has higher level strategy needs. The brand identity is already established from digital to print, but theres opportunity to sharpen and innovate. Services include but are not limited to ad development, packaging engineering, social media strategy. This level is for the client that desires to break through the gravitational pull to stay at the level of "it's not broken, don't fix it". This is for the client who desires to soar to unprecedented heights in their industry. To break beyond the success of now and to create generational wealth. Your brand is already doing well, but if your honest, you know the digital landscape is destined to change. Our focus with this client is to delve deep into the psychology of their audience's need and solve that need from the root.